When I shop online, I am pretty price sensitive. I tend to check 3-5 sites that are selling the same product for price, availability, shipping time etc. And usually its not difficult to find the exact same product being sold for different prices. So usually, buying the product I want for the lowest possible price is my goal. So as retailers it's up to you to make sure you are competitive enough that your consumers can find your product and like the price they see, so they follow through and buy it. This is where competitor price tracking systems come into play. If you find yourself having to check online daily, even weekly to determine who your competitors are and how your prices compare, you will waste all your time doing that. 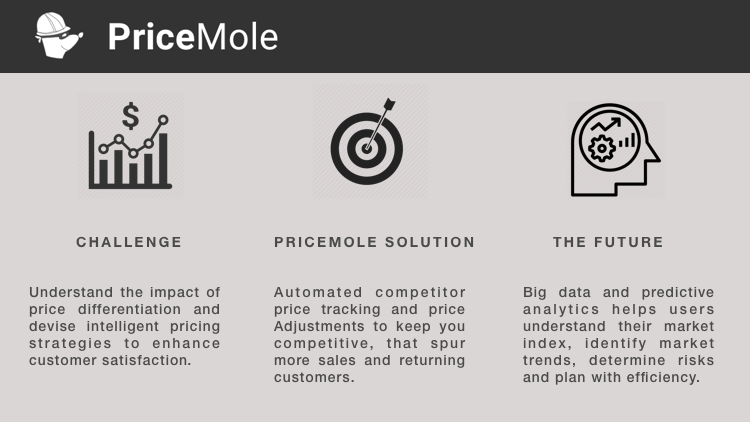 Instead of manually checking and updating your prices to stay competitive, PriceMole will check for you and update your price according to an intelligent strategy you set. The average PriceMole user would spend 3 hours a day checking his top competitors and repricing his best selling products to stay competitive, not even thinking about the secondary products in his or her store. Now with an automated competitor price tracking solution, all of their products are checked 4x a day and updated according with their strategy to always stay competitive. Due to automated pricing updates, our users have seen an increase in sales averaging at 24%. In the near future we will be releasing data, allowing a user to see how his automated price strategies are performing and allowing visitors to follow through with purchases. Using Competitor Price Tracking Solutions gives you insights into your top competitors, including top global retailers like Amazon, QVC, Walmart, etc. You can now compete with the biggest and best. So once you are priced amongst the best, you will notice that you rank better and see an increase in your market index. All the data gathered has been used to train machine learning models to predict sales trends, promotions, popular demand etc in the future. The data is still in beta as the models train, and in the future once the models have been perfected the insights will be available via PriceMole Oracle and other exciting platforms that will be introduced shortly. 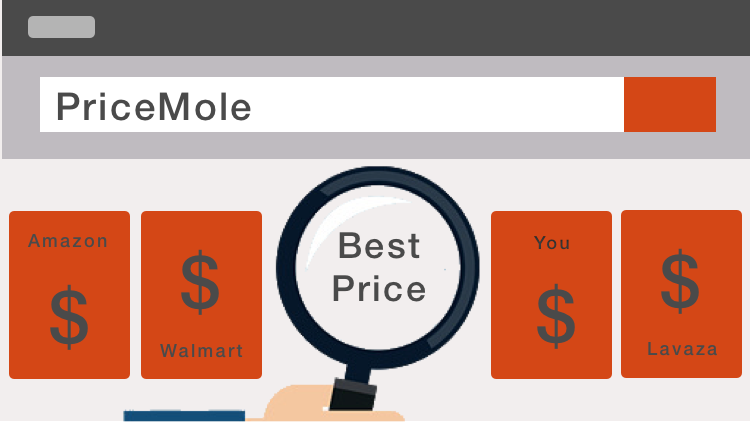 You can try PriceMole and our competitor price tracking solution on the website or on Shopify for free. You can add your competitors or ask the team at PriceMole to discover who your main competitors are in today's market. To learn more about Price oracle for predictive trend prediction and advanced demand planning check it out here. Stay tuned and be sure to follow us on Facebook, Linkedin and Twitter for more news!